This month brings the launch of a new film festival for us residents of “Festival City” aka Toronto. 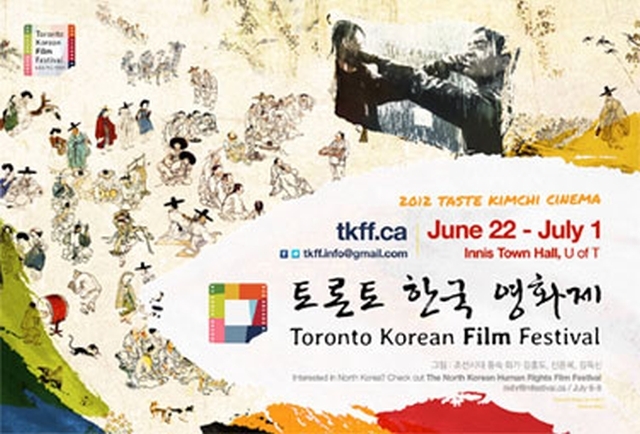 The Toronto Korean Film Festival runs from June 22nd until July 1st over 9 days and aims to introduce those not familiar to some of the best of Korean film. For its inaugural event the staff of TKFF have decided to feature a best of Korean Cinema lineup, rather than just new undiscovered cinema, as an introduction for the non-indoctrinated and to offer a rare chance to see these films on a theater screen to those who have seen them before at home. That said, I will now tell you the 5 reasons why I will be in attendance. This entry was posted on June 20, 2012 by moviejunkieto. It was filed under Editorials, Film Festival, Theatrical, Toronto Events .